Next week’s budget will fire the unofficial starter gun on the election campaign. And while Josh Frydenberg will be keen for the Coalition to enter the contest with the title of superior fiscal managers, whether the government can rightly claim the mantle is worth interrogating. Front and centre of the budget fanfare will be the forecast surplus for 2019-20 after a decade of budgets in the red. If all goes well we can look forward to next year’s treasurer announcing an actual rather than a forecast surplus. Higher revenues have done the budget repair heaving lifting since the Coalition took office in 2013. Indeed, revenues have increased by 2 per centof GDP over the government’s two terms. Most of the growth is from increases in personal income tax collections through bracket creep. As a strategy to extract maximum revenue with minimal squealing, bracket creep has been an undisputed winner for this government. But no economist would nominate it as the most efficient way to boost revenue. The government will almost certainly use the budget to announce further tax cuts. These cuts have been hiding in plain sight in the $9.2 billion in “revenue decisions taken but not yet announced” line in December’s Mid-Year Economic and Financial Outlook statement. The question is whether the government will “top up” these tax giveaways with some of the additional money flowing in from higher iron ore and coal prices. Matching Labor’s announcement of a higher tax offset for low- and middle-income Australians would cost about $5.8 billion over four years. Bringing forward the legislated increase in the top threshold for the 32.5 per cent tax bracket to $120,000, from 2022 to July this year, would cost another $7.1 billion. We’ve also been told to buckle in for more “congestion-busting” infrastructure announcements, which you can read as spending money in marginal seats. 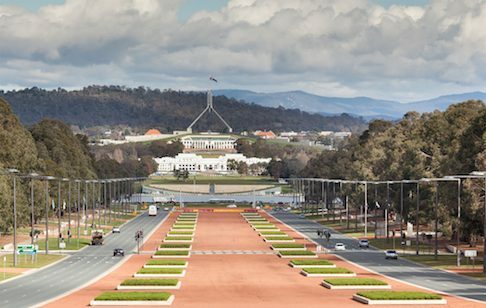 Perhaps the political expediency of further tax cuts and infrastructure spending in an election year shouldn’t come as surprise, but it will cement what has been a significant shift in the Coalition’s fiscal strategy beginning in last year’s budget. The Coalition has jettisoned two of its most important fiscal promises: to restore the budget to a surplus of 1 per cent of GDP as soon as possible, and to bank any improvements in economic conditions to the budget bottom line. The government argues that it has to set these aside to meet another of its other fiscal commitments: that tax revenues should not exceed 23.9 per cent of the economy. But “the tax cap made me do it” argument is a weak one. The tax cap was only introduced in the last budget. By contrast, the promise to bank improvements in economic conditions to the budget bottom line and to get back to a meaningful surplus quickly have guided the Coalition over much of its two terms. And while a tax cap can provide helpful long-term discipline on the size of government, applying it rigidly in response to short-term windfalls in commodity prices is anathema to sound budget management. Does showering the electorate with tax cuts or higher spending every time the iron ore price rises really seem like fiscal conservativism? The government’s dissonance on fiscal responsibility is aided and abetted by optimistic medium-term projections. The most recent projections have the government running surpluses every year for the next decade, with net debt falling from 18.5 per cent of GDP in 2017-18 to just 1.5 per cent in 2021-22. Such a turnaround is not without precedent. 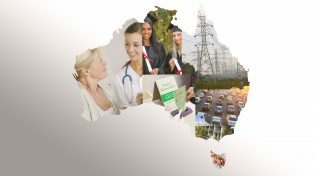 The Australian government achieved an almost uninterrupted decade of surpluses from 1997-98 and reduced net debt from a peak of 18.2 per cent of GDP in 1995 to -3.4 per cent in 2007-08. But it got there with the tailwind of the mining boom – the largest sustained boost to the terms of trade in Australia’s history. And its balance sheet consolidation was considerably helped by the sale of the Commonwealth Bank, the airports and Telstra. In contrast, our projected fiscal good times are apparently underpinned by budget discipline and economic growth. Should the Treasurer embark on his fiscal victory lap? Let’s see whether he banks or blows recent windfalls. Because any claim to superior fiscal management that relies on the promise of future fiscal rectitude and economic good luck is on shaky ground indeed.